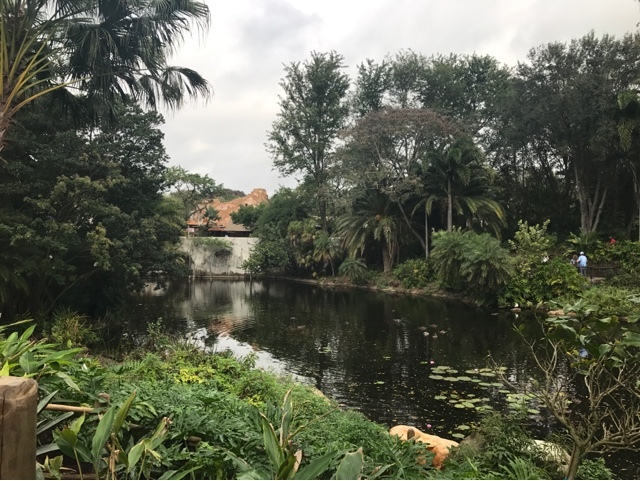 A lot of people feel that Disney's Animal Kingdom is the prettiest of the Disney parks, and this picture is a good demonstration as to why we agree. Here is the Discovery River, behind the Tree as we look towards Harambe. The Discovery river looks really beautiful so peaceful,calm,green and relaxing. I will surely put it in my list for my next summer vacations.Thanks for sharing it !